Birthdays are always nice because I basically wake up every year and unpack my presents in the living room in my pyjamas. 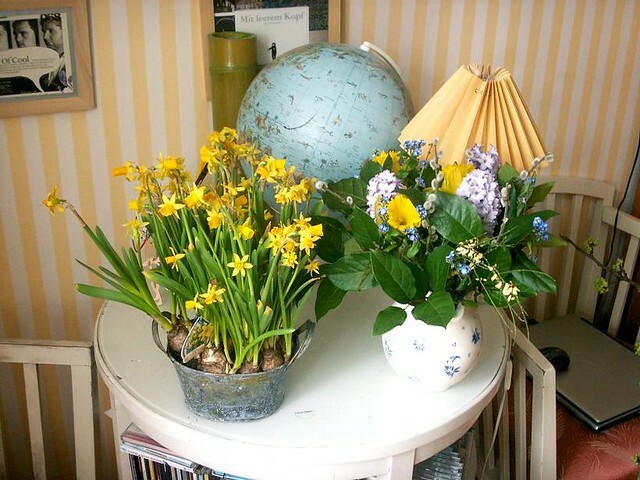 And because it's March it's daffodil season - can't remember a birthday without daffodils. My favourite birthday was way back when I was fifteen (I think), my friends organised a surprise party for me and two others. It was at a friend's flat, a huge lovely flat and we stayed all night. I think we basically watched films and played pool and talked. It was pretty special, quite innocent really, but lovely. I eventually fell asleep in an armchair. Everyone was so nice. i stumbled over your blog a few months ago now via lisa's meerstaub blog... i was at university with her. today, i found it again, and hey, i just wanted to tell you that i like reading your stories and thoughts, although i completely don't know who you are... maybe (and of course) that makes it so interesting. Lisa is my cousin. Nothing mysterious about that! Thanks though, I appreciate it.